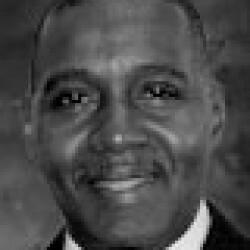 Ronald Perry White was born on February 13, 1956 in New Haven, Connecticut. The son of Edward White, Sr. and Charlie Mae White, he is the youngest of five children. 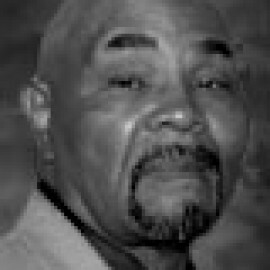 White attended public schools in the New Haven area and graduated from Richard C. Lee High School in 1974. He grew up playing baseball, basketball, and football and participated in activities aimed at securing equal rights for African-Americans, including organized sit-ins and marches conducted by the NAACP and the Black Panthers. 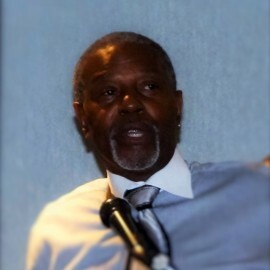 On April 1, 1977, White was inducted as a member of the Fellowship at Virginia State College, where he earned a Bachelor’s degree in Business Administration in May 1978. 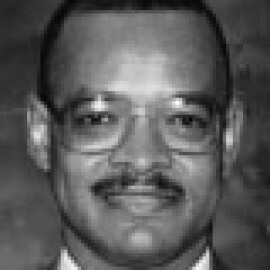 After becoming a member, he served as the New England Regional Director for four years, the Mid-Atlantic Regional Director for three years and as National President for twelve years (1991-1999 and 2003-2007). He also served as the Interim Executive Director for the Groove Fund. During White’s presidency, the Fellowship achieved a significant number of milestones, including IRS recognition as a 501(c)(7) tax-exempt entity, IRS recognition of the Groove Fund, Inc. as a 501(c)(3) tax-exempt entity, registration of various symbols and marks through the U.S. Patent & Trademark Office, approval of the current Executive Board structure, creation of the first national web site, and implementation of the National Undergraduate Convention. White’s professional career includes seven years in human resource services at the Travelers Insurance Company in Hartford, Connecticut, followed by 22 years in human resource services at George Washington University in Washington, D.C. His community service endeavors include serving as: a volunteer mentor and speaker for the National Alliance of Business; a volunteer mentor for the Connecticut Prison Association; a volunteer mentor for the Hartford Chapter of the Big Brothers Program; a volunteer worker for the Information Protection & Advocacy Center for Handicapped Individuals; an advisory board member for the Miss Black America Scholarship Pageant; and a volunteer worker for the Barack Obama Presidential Campaign Team in the District of Columbia. White and his former wife have two daughters: Aisha and Jamila. Aisha, who is physically and mentally challenged, serves as an inspiration to him. 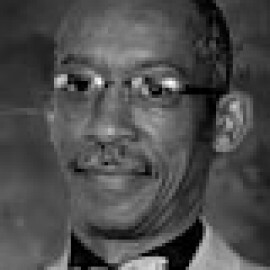 White resides in Washington, D.C., and is an active member of the Alfred Street Baptist Church in Alexandria, Virginia.